A dear friend of mine stopped by to visit us this summer, and brought with her these addicting tasty treats. I have made and eaten multiple batches since she has departed so, I felt it was my duty to share these with the rest of you. I have found them to be the best hiking treats to throw in my pack or an after cross fit pick me up. They are super easy and fast to make and they blow Lara bars out of the water. Yet again I can not take credit for the invention of these and I found a recipe HERE at Chocolate-Covered Katie. Check her out she has loads of scrumptious looking treats on her site. The recipe my friend gave me was titled German Chocolate Fudge Balls, so I do believe there are many renditions of these online. 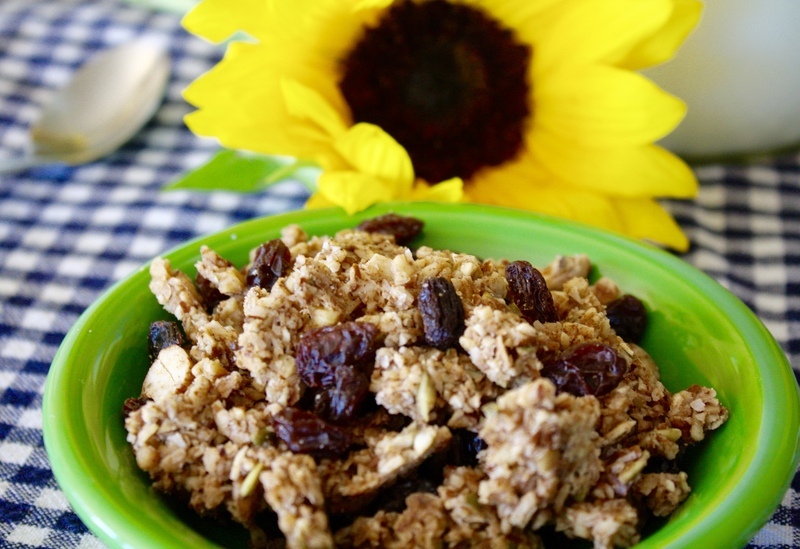 Of course I have altered the recipe to my own liking and you will too once you find what nuts you prefer and how much chocolate you want to add. I like to keep them in the refrigerator as they get just the right firmness and the cool treat is preferred in the summer time heat. Throw everything into a food processor and process until a big ball forms or it is all well incorporated. 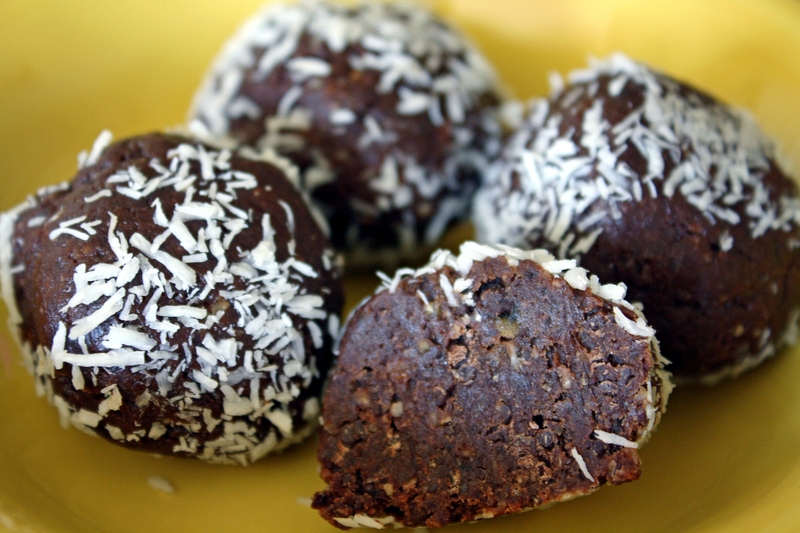 Roll into bite size balls then roll in some shredded coconut or cocoa powder. Store in a glass container in the fridge (the fridge is not mandatory). Happy March! Spring is rolling in very quickly here in Montana, unlike some other places in the country, we have had a mild winter, but spring is always a welcome sight. On a hike today I saw my first wild flower, crazy but true. When I started down the path of cleaner eating, I realized that my beloved potato chips would not be on the “okay to eat list”…. (well I’ve always known that potato chips or any chips really aren’t the most nutritious foods around, but they are so dang tasty). I don’t know very many people who don’t love or at least like potato chips or corn chips or tortilla chips. In my effort to mostly (I am human so partake sometimes) cut them out of my diet, I searched high and low for a crunchy salty satisfying replacement. I was falling short of finding anything, until one day at a local natural foods store, I stumbled upon plantain chips. I immediately bought them and was very pleased with the crunchy salty taste and finally felt I wasn’t missing out. Fast forward a few years later, I realized how easy it was to make these babies at home with better oil and at a fraction of the price!! Sometimes I just want a vehicle for dips or guacamole that isn’t raw vegetables, something salty and crunchy without bad seed oils or GMO corn and I have found the answer. I love plantains they are nutrient dense and so versatile, I know this is blasphemous to some, but if there was a plantain god or goddess I would worship them. 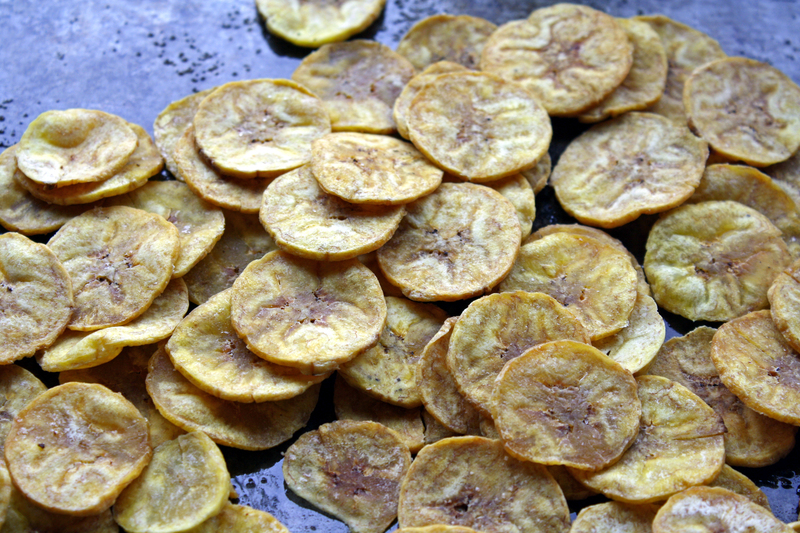 Using a mandolin or a food processor slice the plantain into 1/16 inch rounds. Grease two cookie sheets with coconut oil and mix the rest in with the plantain chips so they are well coated with oil. Place each round in rows onto the cookie sheet with no overlap and sprinkle with sea salt. Bake in a 300 degree oven for 15-20 minutes or until the chips are just starting to brown (test for crunchiness).